When I Tried To Talk To My Parents About The Internet…. One of my earlier memories is my mother being angry with me because I had accessed the internet “without permission”. This was a few years back, when the internet wasn’t as mainstream as it is now and smartphones were a distant dream. I would have been in my early teens then and I recall trying to understand exactly why my mother was angry. After all, it wasn’t as if I was doing something wrong on the internet. After this incident, my mother sat down with me to ask me what exactly I was doing online. And while I clarified that I wasn’t actually doing anything bad (whatever that meant. My mother certainly never explained), this incident stuck with me. It was then that I came to associate the idea of the internet with the idea of doing something ‘forbidden’, something ‘wrong’. Years later, I realised that this wasn’t something unique to me or my relationship with my parents. 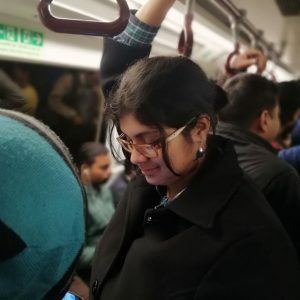 Most Indian parents, at least those I saw growing up, regarded the internet with distrust and if something ‘bad’ happened on it, the conversation would focus around how this is why children shouldn’t be on the internet, rather than say how we should be making the internet a safer place. For example, if incidents about harassment faced by people on the internet or cyberbullying ever came up, the response was always, “This is why the internet can’t be trusted.” or “Why was he/she on the internet all the time? Children these days.” To me, this was tantamount to placing the blame on the victim. To saying that it was their fault that they decided to go on the internet and got bullied. It was also a hidden warning to me: If I faced any problems online, I would have to think twice before approaching my family. This is a problem. Why? Because India ranks third in the world in terms of cyberbullying and over 50% of children in India have faced cyberbullying in some form or the other. Think about that number for a second. Over half the children who have accessed the internet have been bullied/harassed. And yet, why do we not treat this as a problem? Therefore, the need of the hour is first, to bridge this communication gap between parents and children. For children, there can be no bigger support system than their family, and they need to be able to trust that their parents will believe them and treat the issue of cyberbullying seriously. For parents, they need to be able to reach out to their children and make sure that their voices are heard, respected and if need be, acted upon. For example, if your child reaches out to you and says they’ve had an upsetting response online, telling them to not go online or worse, taking away internet privileges only serves in shutting communication down. Talk to your child, ask them to explain what happen and then decide what to do. In some cases, schools can help or even the child’s peer group. Just as it would help in the case of ‘normal’ bullying/harassment. Because remember, just because it’s virtual doesn’t make it any less real.